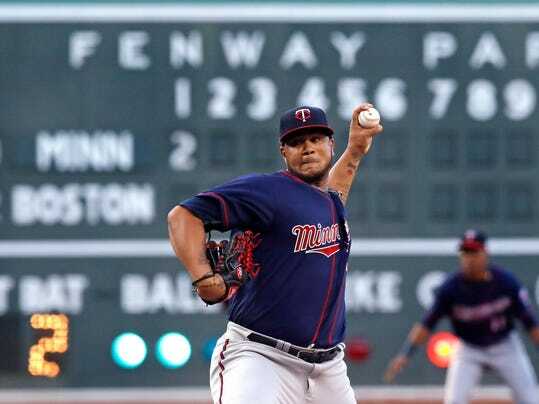 BOSTON (AP) — Adalberto Mejia pitched 5 2/3 innings in his second straight scoreless start, Max Kepler hit a two-run homer and the Minnesota Twins rebounded from two consecutive losses against Boston to beat the Red Sox 4-1 on Wednesday night. Kepler also had an RBI single, and Miguel Sano added an RBI double to help the Twins improve to 24-11 on the road. Mejia (3-3) allowed five hits, struck out three and walked one. On Friday night at Cleveland, the rookie left-hander held the Indians to two hits over five innings in a victory. Brandon Kintzler got the final three outs for his 21st save. Boston starter Rick Porcello (4-10) gave up four runs on six hits in six innings, striking out six and walking two. It was his 14th straight start going at least six innings, the AL’s longest active streak.